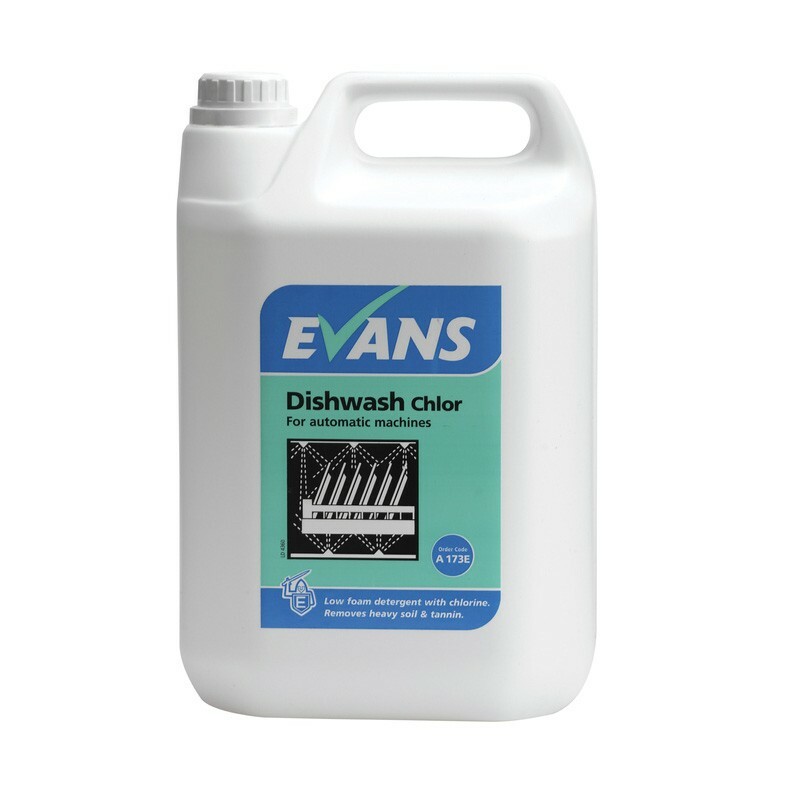 Evans Dishwash Chlor is a low foaming dishwash detergent for use in soft water conditions. Suitable for use in all types of single and multi tank automatic dishwashing machines. Cuts through grease and dried on food. Effectively removes protein and tannin. Ideal for use in soft water. Has a pH of 12.3. Dispense into automatic dishwashing machine through an electronic dispenser at a ratio of 2-5ml per litre, depending on soiling, in accordance with the machine manufacturer instructions. 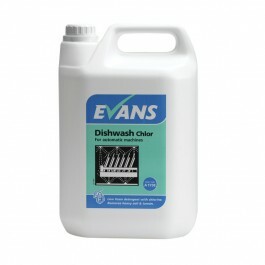 For best results use in conjunction with Evans Rinse Aid. Please Note: Not to be used for hand dishwashing or in domestic machines.